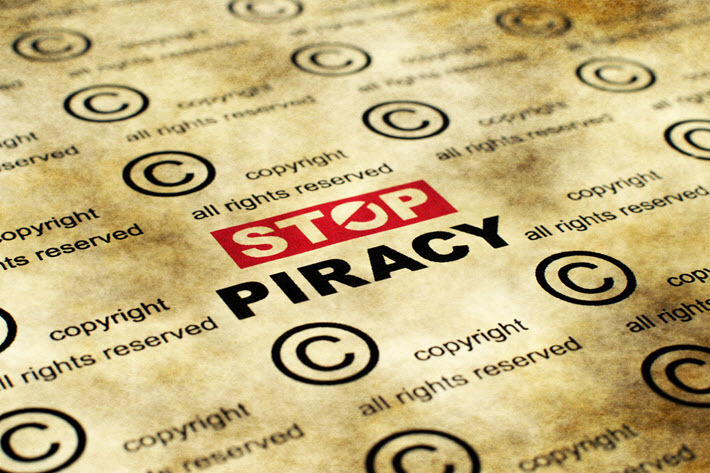 ‘Book piracy threatens authors’ livelihoods, as well as threatening diversity,’ according to a new appeal from the Society of Authors to the British government for help protecting copyrighted content. In an open letter dated Friday (April 5), some of the United Kingdom’s best known authors have called on Greg Clark, secretary of state in the department of Business, Energy, and Industrial Strategy, to open a dialogue with them about online book piracy. Hilary Mantel, Kazuo Ishiguro, Tom Stoppard, Antonia Fraser, Neil Gaimen, Malorie Blackman, and 27 others are signatories to the letter from the council of the Society of Authors, the British trade union for writers, the counterpart to the Authors Guild in the United States. “We are concerned,” reads the letter from author Philip Pullman, president of the organization, “that sites offering illegal downloads of books are becoming increasingly prevalent. In a prepared statement for the release of the letter to various news media, Pullman is further quoted, saying, “Online piracy of books, music, and other expressions of the human spirit needs to be properly understood: it’s an offense against moral justice. No market is immune from piracy. In some regions, illicit books are produced in print, as in textbook scams. In other instances, online piracy is the issue, at times a function of simple illicit PDFs being made available for free downloads. In August, Alison Flood at The Guardian wrote about the strange sense of entitlement carried by many who read pirated downloads of books. The site OceanOfPDF had been shut down after Penguin Random House, HarperCollins, and other publishers had issued what Flood describes as “hundreds of takedown notices.” And former users of the shuttered site then attacked authors as “grossly elitist” for expecting to be paid for their work. A culture of victimization seems to justify conscious piracy in the minds of many non-paying consumers, who pass around a notion of books being too costly and theft thus being acceptable. The construct deems publishers, authors, and other rights holders as heartless for demanding payment for their work, although—as many writers note—the same readers don’t expect the smartphones and other devices on which they read illegal copies to be handed to them free of charge. During the controversy last summer, both the society’s Pullman and Blackman—the latter is a former UK Children’s Laureate—were publicly vocal about the problem. The letter from the Society of Authors’ Pullman and council members sets the crisis into bold relief for politicians who may be new to the issue. “Authors are not asked for permission before their work appears on these sites,” the letter reads, “and they do not receive any remuneration. For purposes of its media messaging, the organization includes more remarks from authors on the council. While not mentioned in the letter, the protracted melodrama of the Brexit crisis weighs heavily on the UK’s books business and other creative industries. With the UK’s books industry drawing as much as 60 percent of its overall revenue from exports, further challenges like piracy could become even more dangerous than before. “The growth of online book piracy has the potential to damage the legitimate book market and make it even harder for authors to make a living from their work. This will harm writers and readers alike–if authors can no longer afford to write, the supply of new writing will inevitably dry up. “It could also cause further damage to our library service (which does pay authors, both for the purchase of books and, through PLR, every time a book is loaned), at a time when libraries are already facing cuts and closures across the country. The call to action, while purposeful, doesn’t name a specific tactic the authors want to see deployed, and the message may need to be sharpened with calls for better defined operational responses. You can read the full letter and see the complete list of signatories here. More from Publishing Perspectives on the Society of Authors is here and on book piracy is here. I’ve received some two dozen Google Alerts over the years that some of my books were being made for sale in the manner presented by this article. In the early days I’d immediately inform Amazon about the skulduggery. However, their responses were always the same, in as many words my books weren’t actually being copied for sale, but instead they were using my books’ PDF files to lure people to disclose their credit and debit card information to them. So I wasn’t really losing sales, according to Amazon KDP support staff. Where the files were being obtained from were never addressed and nor can I answer that now. If one tried to open the PDF file that came via Google Alert, my computer sytsems always prevented me from doing so, warning me malware was present (and to cut transmission immediately), so I never went past that point to find out what happened next. Since leaving Amazon in December 2018, interestingly enough, I’ve not received any Google Alerts of this kind. Anyhow, the issue of piracy was always debunked by Amazon. I would interested to know what their answer would be to this conclusion by the Society of Authors. Perhaps Publishing Perspectives can investigate further.